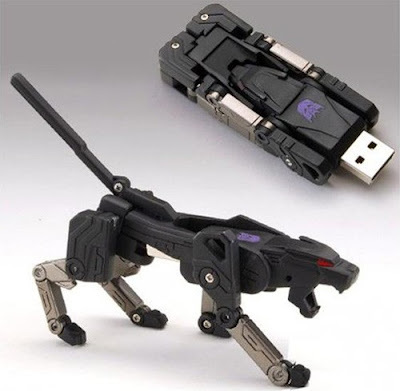 Just got this from plurk, a Ravage 2GB USB drive. According to bigbadtoystore.com, the gadget will be available in September. But even before September come, the item is already sold out from pre orders. Too bad. Let's hope that there would be restocks. wow! if they can something to form into an eagle, and is at 4G and above. then im definitely buying one!